The 33-year-old actor- who welcomed his first child Everly into the world with his wife Jenna Dewan-Tatum just three weeks ago - admits he's not keen on his child following in his footsteps and starring on the big screen because he'd rather she had a "normal" life away from the pressures of fame. Speaking at the New York City premiere of his latest movie 'White House Down' on Wednesday night, he said: "I hope she doesn't get into this world - I mean look at this. This isn't normal. I want her to have a grounded, beautiful life. But she's going to do what she's going to do. "She's going to grow up and do whatever she's going to do. I don't really have any sway." 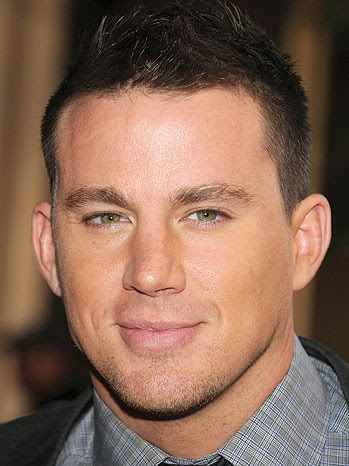 Channing plays John Cale in the upcoming action thriller, which sees him attempt to save the US President as a well as his daughter from terrorists, but believes becoming a father is probably more frightening than having to protect a world leader. Speaking to Us Weekly magazine at the premiere, he explained: "I've never protected the president, but I have been a new dad, and I can tell you that being a new dad is pretty terrifying. "I'm pretty sure that something about the president makes the stakes a little higher, but to me as a new father, nothing is more important or scary than protecting a daughter."